Designed by skilled craftsmen, the Saha Table Lamp by Heathfield & Co is inspired by the strong lines of contemporary architecture. The spiral detailing is complemented by a unique silver glaze reflecting the high shine of skyscrapers and modern engineering. This distinctive lamp adds a contemporary style to a traditional space as well as creating a focal point in a high-tech interior scheme. 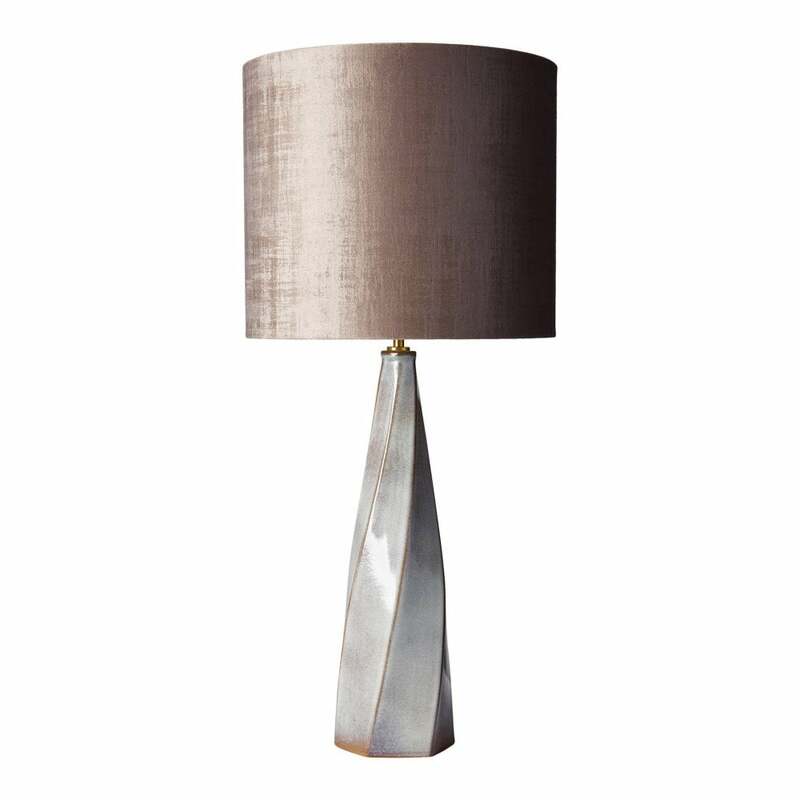 Shown here with a textured, velvet shade, this table lamp works well with muted shades in a luxurious fabric. A wide variety of fabrics and colours are available. Make an enquiry for more information. Priced for 14" Medium Drum shade in silk with white PVC lining. Please contact us for other options.